Delicious, crunchy, chewy snack! Designer Whey Protein Bars are filled with 10g of protein, vitamin B to boost energy, and calcium for strong bones, and at 160-170 calories, they’re super yummy as a snack on the trails or mid-afternoon pick-me-up. 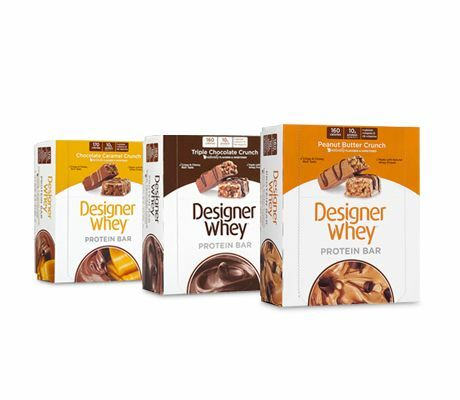 As with their other great products, the protein in these Designer Whey Protein bars is easily digested and absorbed and ideal for muscle energy, recovery and growth. Offered in 3 incredible flavors – Triple Chocolate Crunch, Chocolate Caramel Crunch, and Peanut Butter Crunch.